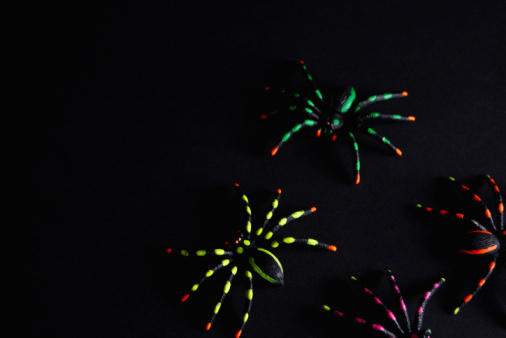 Many people have the misconception that spiders move into homes when the weather becomes colder, but this is generally untrue. The spiders that you might find indoors are adapted to living inside, no matter what the weather outside --and many even prefer it. While spiders are most often harmless and can even be beneficial, you, like many, may wish to keep them out of your home. Do so by growing natural plants that spiders don't like, rather than spraying potentially harmful chemicals. Most spiders are harmless to humans and can even be quite beautiful. It has been noted that spiders do not like citrus. Many spray repellents available on the market contain some portion of orange or lemon oils. While citrus fruits generally grow on trees, miniature, potted versions of them are available. Rub the skin of the citrus fruit along window and door openings to distribute the oil and discourage many pests, including spiders. Hedgeapple is also widely known as Osage orange. The fruits of this plant, which is classified as a shrub or small tree, are not orange at all -- they come in various shades of green, but have a bumpy skin reminiscent of an orange fruit. Grow hedgeapple in a large pot, or you keep it outside and place bowls full of the fruits near any areas where you notice spiders. Do not eat hedgeapples, as they can make you ill.
Pennyroyal is a type of mint that is native to Europe and sometimes seen in Asia. It is commonly seen in England growing wild; for this reason it is colloquially known sometimes as "lurk in the ditch." Its original use was medicinal, and pennyroyal tea is still a common remedy for the flu. Add a small pot of pennyroyal to your window garden and keep the spiders away.